A quick and powerful technique to clear negative body-mind states (emotions, pains, issues, thoughts, addictions, behaviors, etc.). Distilled from years of research into energy-meridian tapping techniques, the Power Tap™ is easier to learn, simpler to apply, and much more effective than other similar clearing techniques. The premier essential oil company of North America and the only one that thoroughly tests all its oils for quality and purity using gas chromatography. This company has a wide range of essential oil products (oil blends, food supplements, cleaning products, personal and skin care, etc.) that put essential oils to work to great benefit. Essential oils are in their infancy in their use to create whole being and support wellness. Young Living is at the leading front of the wellness industry. Quality-proven oils give Young Living supplements an edge that cannot be matched elsewhere. A very powerful wellness device that oxygenates, detoxifies, and moves lymph like no other tool. While one lies on their back this machine moves the feet from side to side creating a figure 8 motion in the body that turns on “chi” and moves body fluids (spine, blood, lymph, etc.) to detoxify and oxygenate. Developed by a former president of the Japanese Oxygen Association the effects of this tool (while perhaps subtle to the user) produces profound results bringing about balance and well being. 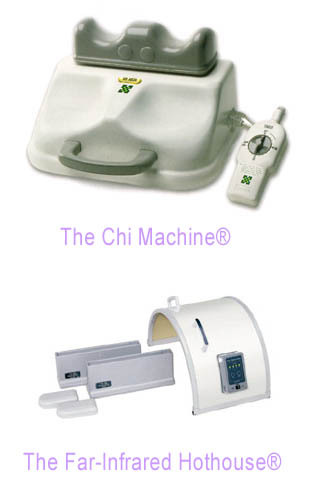 The makers of the Chi Machine also offer a Far-Infared "Hothouse," which is a light, portable, affordable, far-infared device of very high quality. 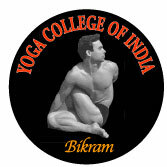 Developed under medical supervision in India by Bikram Choudhury, an award-winning and internationally-acclaimed Yogi even before developing “Bikram Yoga,” this style of yoga (fashioned in the classic tradition of the ancient Indian Yoga Sutras) uses medically and scientifically proven yoga postures performed in a room at 110 degree F. The results on the body-mind and consciousness of the practitioner are quite profound in terms of fitness, health, awareness, and well being. The diet we were put on this planet to eat! The only one we’ve adapted to and can be healthy on. Tired of being sick, fat, and tired? Put the excuses away and try it! Visit a rawfood restaurant (google it) to see how good it can be! A better way of living & being! Ever wonder why the East Indians have praised the benefits of meditation to the body, mind, and spirit for 5,000 years? Here, packaged for the time-crunched Westerner, are the whole-brain wellness benefits of decades of disciplined meditation. Wow!…try it! which even Yoga or rawfoods might not yet have mobilized. accountable for their own toxic state) might like to displace on me. I go out in public. or spirit to an extreme beyond its proper balance. indispensable to ones quest for Self, wholeness, and well being. Contrary to popular belief, wholeness is not a term describing some vague mystery. Rather, when applied to a person, wholeness describes a uniform, un-fragmented state of fully conscious self-awareness from which one’s existence manifests according to ones wholeness of Being and its unified intent (Will). The psychiatrist Carl Jung called this unity of individual consciousness the “Self” (with a capital ‘S’). By definition, wholeness speaks to all of what it describes, not just some part of it. So, when describing an individual, wholeness speaks to that person being whole on all levels of their existence – consciousness, energy, mind, and body – as well as to their functioning and relating in life, and how their life manifests. Wholeness therefore describes being whole in all aspects, complete. In this, as mentioned, all levels of reality require acknowledgement. 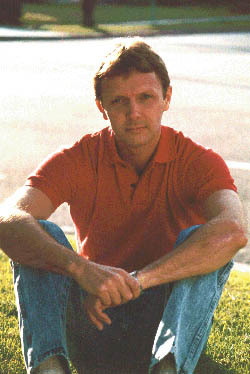 In terms of the SelfQuesting Approach™ to wholing states of consciousness, acknowledgement of these levels is seen in part through the use of several vibrational tools whose effects on subtle energy (and consciousness itself) assists the less causal levels of mind and body to integrate the new wholeness of conscious being that SelfQuesting™ creates, thereby producing wellness. The tools shared here are “vibrational” in that they serve to assist the SelfQuesting™ process in moving one toward conscious, whole (and thus ‘well’) being by affecting the subtle energy. These tools act primarily through their positive effect on what Rupert Sheldrake called the “morphogenic” (form-shaping) fields of subtle, vibrational energy that we each consist of and are directed by. These morphogenic fields of subtle energy determine the structure and function of our body/mind and shape wellness or ‘dis-ease.’ Thus consciousness – as the prime director structuring our energy and from that the mind, body, and life – is the fundamental level requiring attention if we are to create “whole” being. Yet acknowledgement of the less causal levels of energy, mind, and body is also required. So while oneness of conscious being is a necessary condition for an individual to be whole, it might not be sufficient enough to create the expression of whole being on all levels. The vibrational tools offered here support the expression of wholeness into these levels, and work in synergy with the SelfQuesting Approach™. Creating whole being is not difficult, but it does require discipline and persistence. Most of us today are exposed to more personal and environmental stresses in a week than our ancestors were exposed to in their entire lifetime. These stresses and pollutants take their toll on our well being. Creating wellness today requires insight, discipline, and commitment, as well as time to take effect, and it must become a way of living, and being. Nothing short of this will create well being and happiness. To fail is to court “dis-ease” and fall short of ones birthright of fulfillment. Unless one is willing to waste their potential for well being and wholeness, one needs to take responsibility and commit to the knowledge, discipline, heart, and action required. If one applies the SelfQuesting Approach™ and the tools shared here, they can create a level of wellness, joy, and success rarely experienced. Evolving to live better than kings, the users of these tools can powerfully step up to their birthright – even to become the “gods” that perennial wisdom, scripture, and intuition have long and clearly told us we are. When properly applied, the benefits to ones health, success, and wholeness generated by these tools – especially through their synergistic use in combination – will be powerful and immediate, and will grow stronger over time. obvious aid to my Bikram Yoga® (along with essential oils) allowing for greater stamina, quicker recovery after class, and more presence in the practice! experienced after decades of prolonged, deep meditation practice. for life, and you in it! Old rules, ideas, ways, institutions will no longer apply… as you finally come to being One Self! and lends an ease to integrating raw food into your diet. The improvement these tools will bring to every aspect of your life will amaze you! the hare, and you will reach your goal of well being. Trust in your life’s path, and your Self! Challenges will present themselves as fragments of your undiscovered Self surface, fearing and at the same time seeking unity and its power! wholeness. You are like the flower in the field blooming – it knows not what it’s doing, but somehow it blooms. Trust yourself. never imagined. And the Love and Oneness of all Being will come to shine through your heart and light your way. [Note: Most people suffer from significant trauma effects held in the body, mind, and energy that are due to past or present exposure to heavy-metal and chemical toxins, as well as other physical and mental-emotional stressors. Whether or not you are aware of this, your adrenals, thyroid, pancreas, liver and other organs have probably been greatly affected. This very common stress syndrome, that almost as commonly goes undiagnosed (due to its creeping, often sub-clinical nature), is likely to have had a profound negative affect (perhaps for most of your life) on your health, overall performance, and your enjoyment of life. Again, this syndrome most often exists without you being aware of it, until it becomes most obvious and debilitating with age. 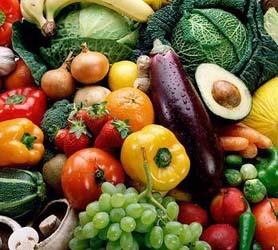 And though this syndrome responds well to a vegetarian, rawfoods diet, which lowers inflammation and from that many of the syndrome’s symptoms, further attention in terms of proper medical attention involving thorough detoxifying and nutrient rebuilding, as well as SelfQuesting, is needed to overcome root causes in the psyche and body, and bring about optimal well being. Products such as zeolites, homeopathics, enzymes, essential oils (and supplements that employ essential oils that are far more bio-available thn those that don’t), as well as devices such as the Chi Machine, Zapper, and Bio-Photon Analyzer will be necessary to whole the body/mind. All levels of reality; body, mind, energy, and consciousness will need to be acknowledged. In terms of medical attention, I strongly recommend James Wilson’s (ND) book Adrenal Fatigue, which well describes what has fast become the major misdiagnosed, stress syndrome of the 21st Century. Many maladies - including bipolar disorder, depression, anxiety, listlessness, back pain, heart conditions, weight gain, nervous system disorders, cancer, sexual dysfunction, blood sugar irregularities, candida, and a general overall inability to thrive – which are reaching epidemic proportions in North America – are due to this triumvirate syndrome of malfunction involving the adrenals, thyroid, and pancreas, as well as an imbalance of the autonomic nervous system that in part originates from and is perpetuated by the fragmented Self.